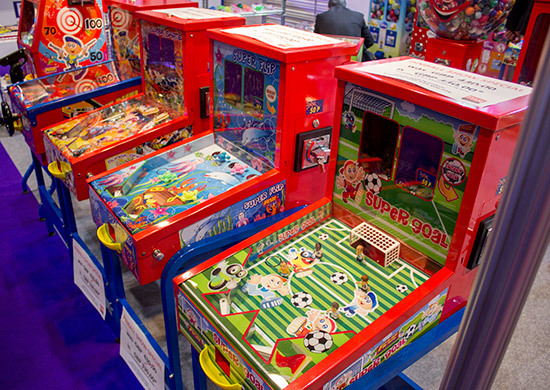 It's the third week of January and so that means it's time to head to East London's Docklands area and the ExCel London exhibition centre for the EAG International amusements trade show. How would the show compare to last year? 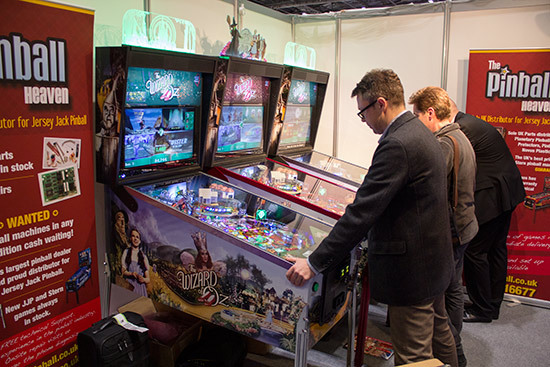 Would there be more for pinballs fans to enjoy this year? Would there be more visitors in general? 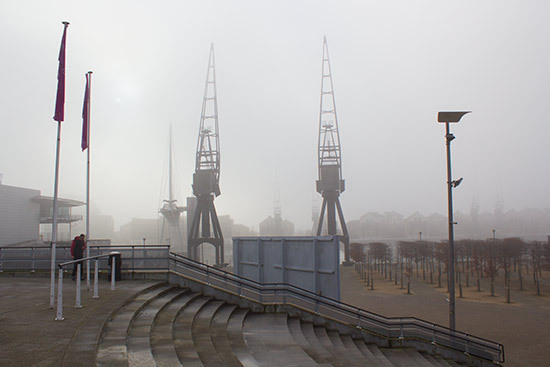 If the picture above looks a little hazy, that's because the snow of last year had been replaced by a morning fog which caused delays and cancellations to flights into London Heathrow and London City airports. 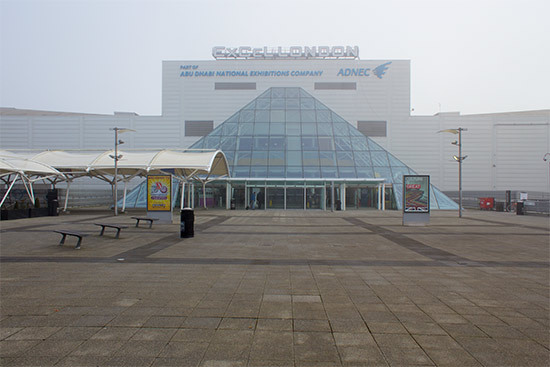 As a result, several visitors only arrived at the venue late on Tuesday afternoon. 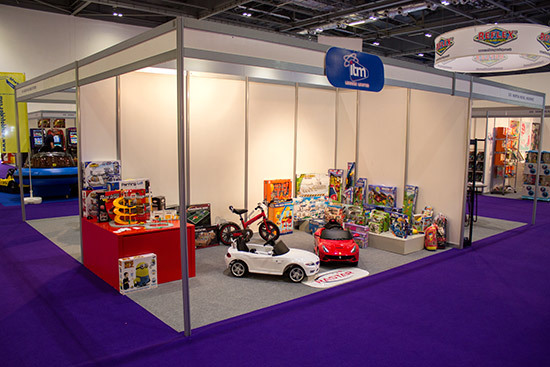 For those who made it though, the EAG International show was held in hall S2 of ExCel. Visitors either collected their badges at the front desk or already had them posted to their home or business address. 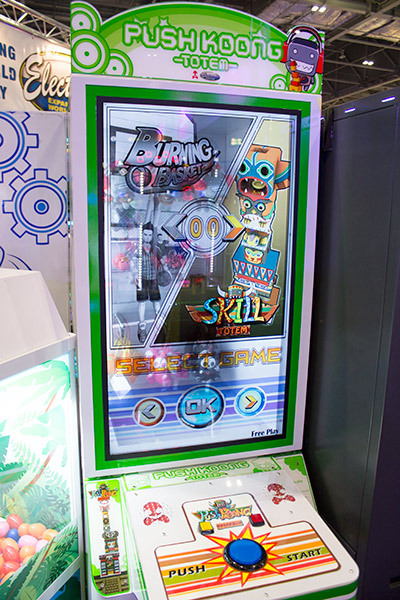 Inside the hall, most of the familiar names from previous shows were back, including companies such as Bandai Namco, Sega, UDC, Harry Levy, Astra, and Electrocoin. 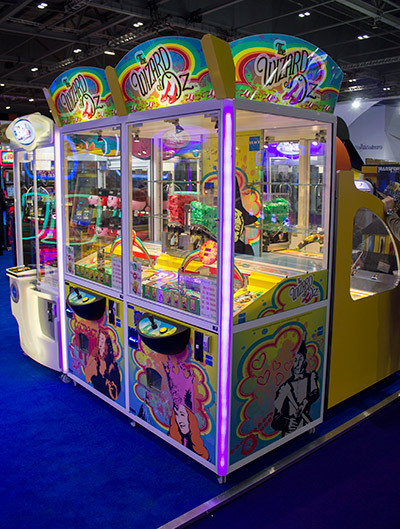 While there were busier periods, the first day at the show was reasonably quiet overall, with no large crowds gathered around any of the stands. 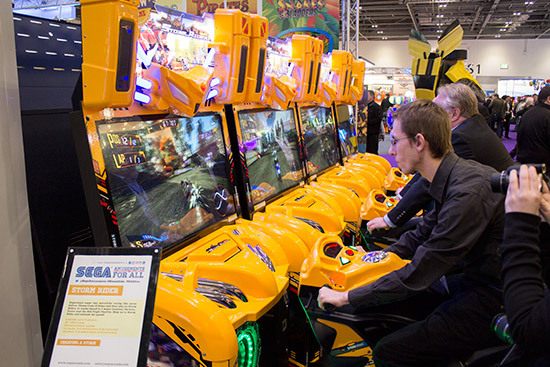 Part of that seemed to be fewer non-trade visitors who in previous years would often be found queueing to play the latest games. 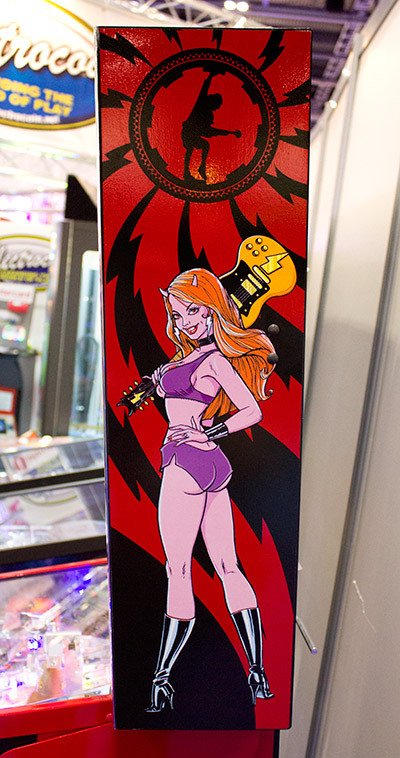 Before we get to the pinball elements, a few other exhibits caught our eye while wandering the aisles. 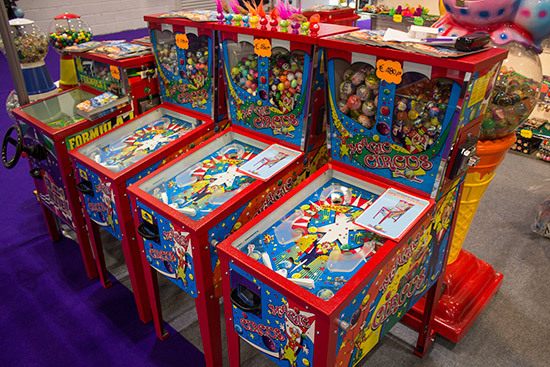 OK, let's get to the pinball, and while this year's show promised some exciting new developments from pinball manufacturers, there was less to report than we had hoped. 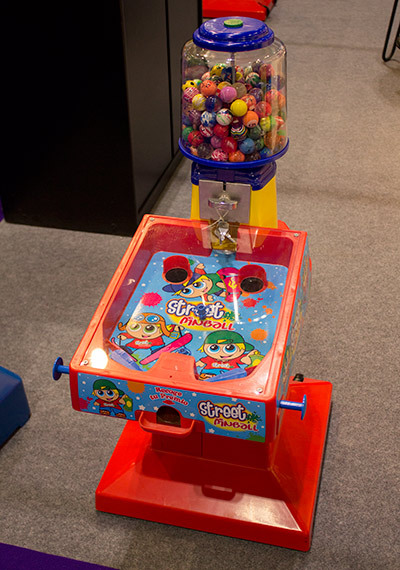 Stern Pinball were represented on the Electrocoin stand which was smaller than their usual display. 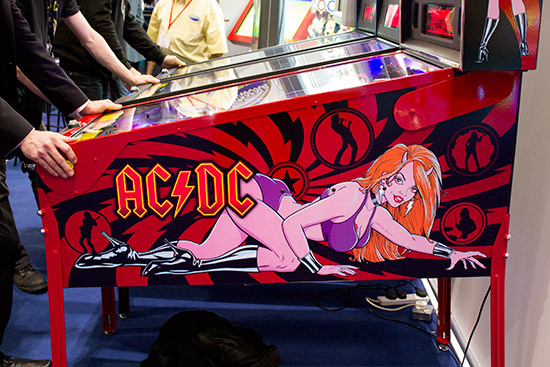 Gary Stern and Shelley Sax were at the show, and were joined by three pinball machines - two Star Trek Pro models and an AC/DC Lucie model. 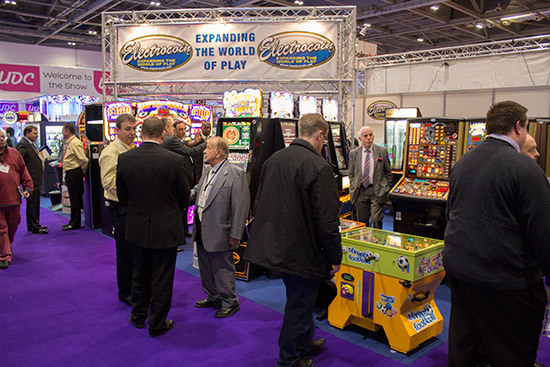 This was the first time the Lucie model had been seen in the UK and produced a lot of interest and positive comments. 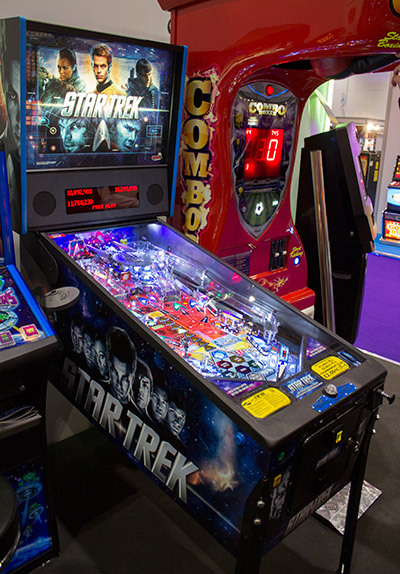 There was a third Star Trek machine around the corner on the Wessex Coin stand. 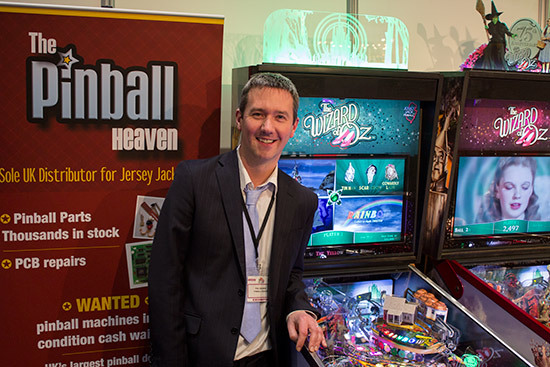 Pinball Heaven were promoting Jersey Jack Pinball's The Wizard of Oz with two standard models and one 75th Anniversary machine. 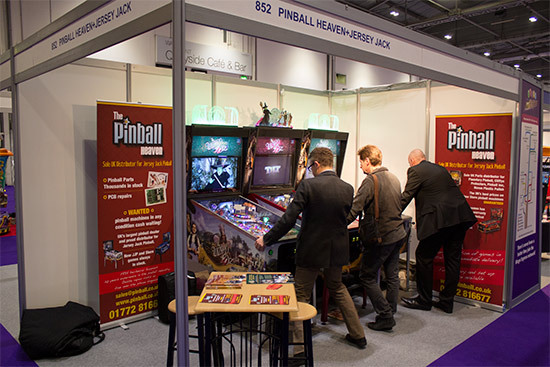 The Pinball Heaven owner Phil Palmer was supposed to be joined on his stand by JJP's Jack Guarnieri, but Jack cancelled his trip to London at the last minute. 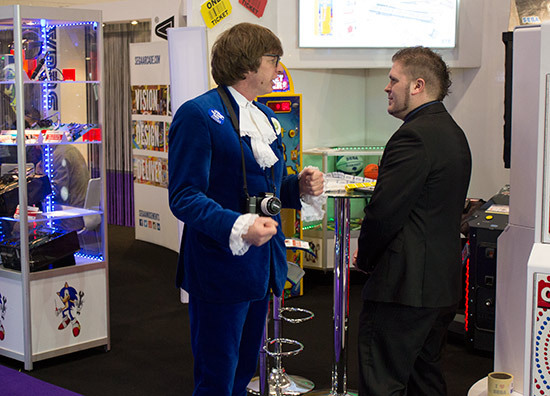 Jack wasn't the only no-show at EAG International. 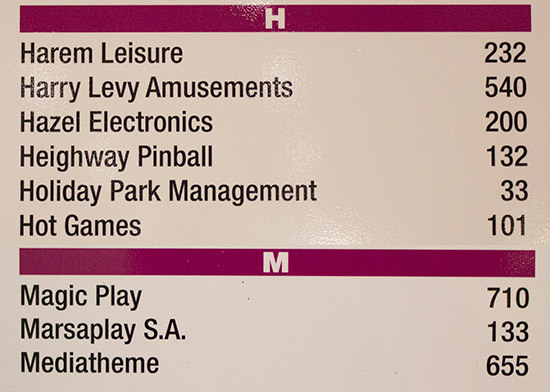 Both Heighway Pinball and Marsaplay had booked stands and were on the show's floor plan, but neither were present on the first day. 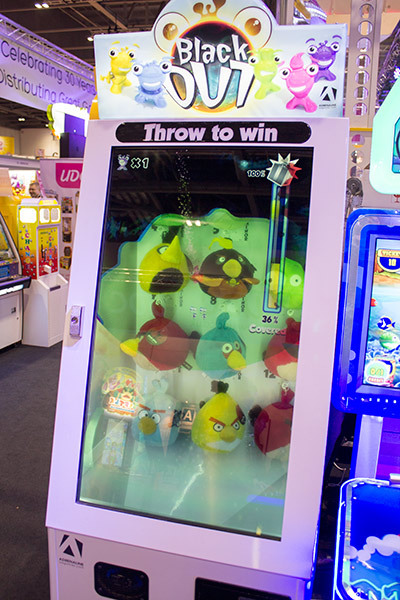 So just Stern and JJP machines were being displayed at the show. 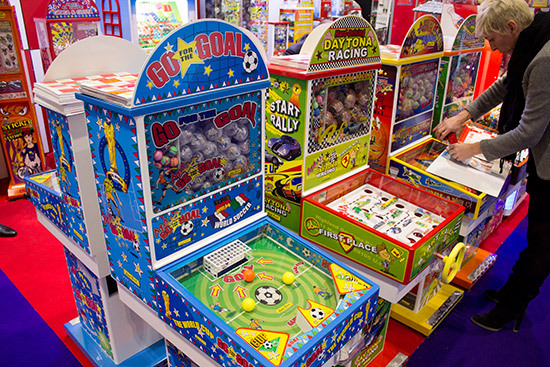 But if real pinball was limited in numbers, miniature prize-dispensing pinball machines were in abundance. 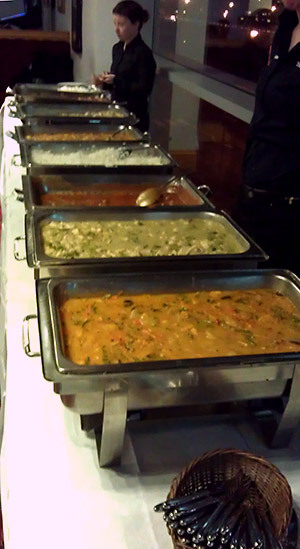 Here's a selection of them. 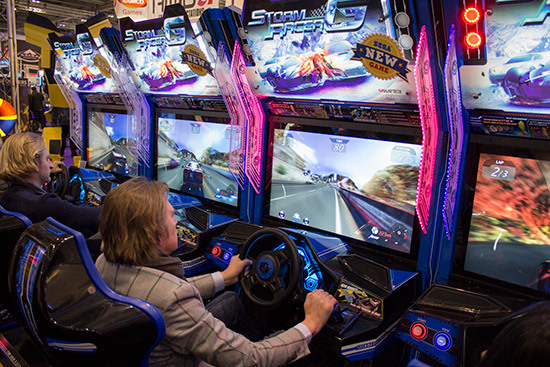 We could go on, but you get the idea. There were basically lots of these. 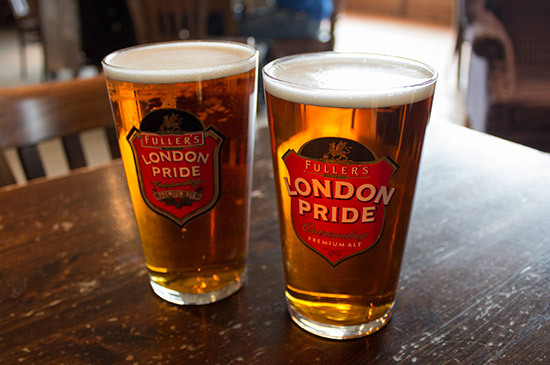 As we're in London, two things are pretty much inevitable. 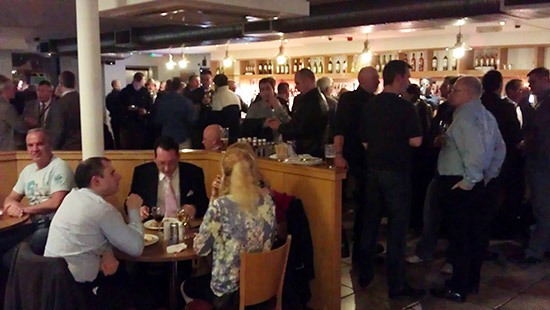 On the first night of EAG International, an after-show party for exhibitors is traditionally held at a nearby pub, and this year was no different. 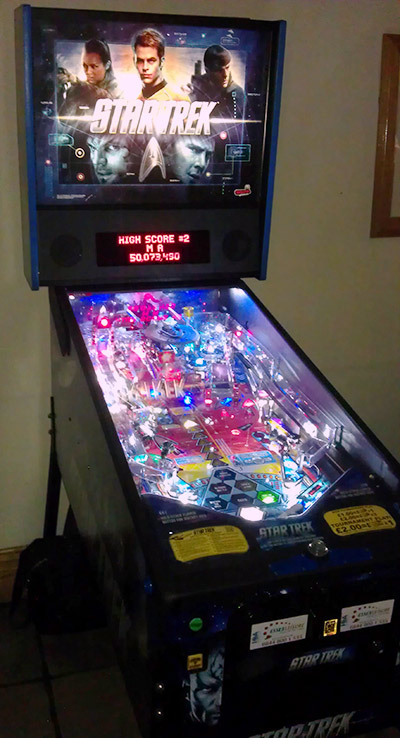 Essex Coin had a Stern Star Trek Pro set up in the bar. 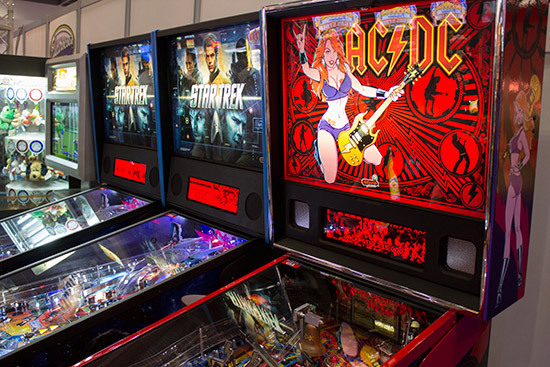 With dozens of industry professionals in attendance, this would have been a good opportunity to promote pinball. 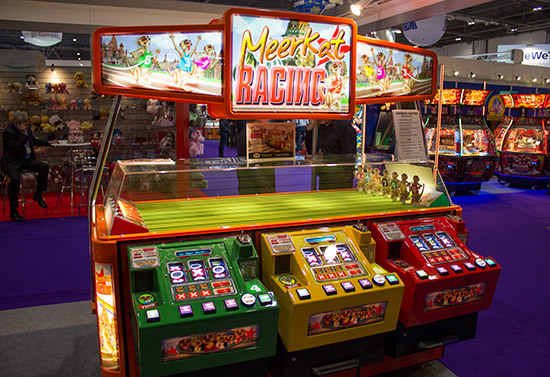 Unfortunately though, the machine was set to coin play and then didn't accept £1 coins - the price of one game. 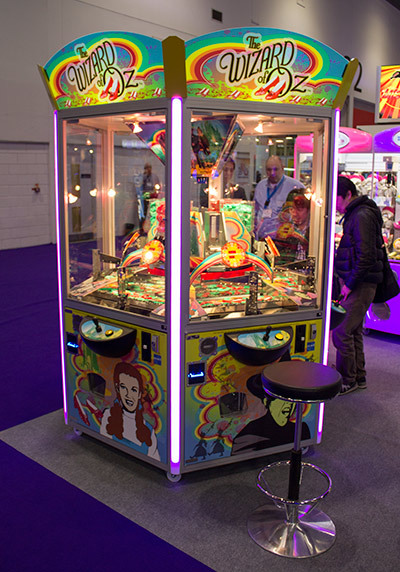 As a result it remained powered up but unplayed nearly all evening. 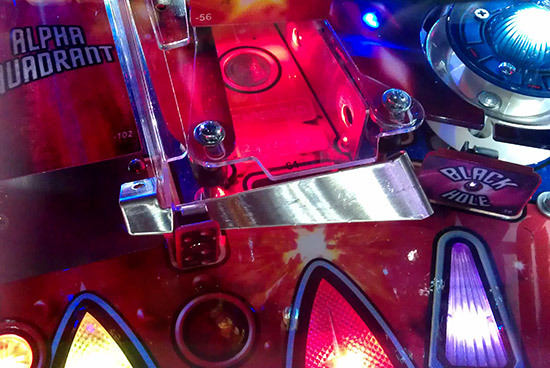 When some players did find some coins it would accept, one of the ramp protectors fell off, blocking the centre shot. 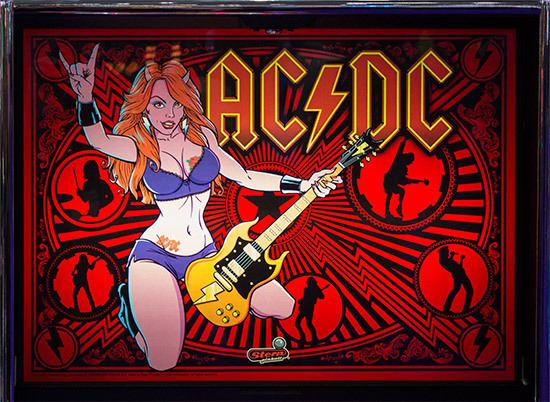 All in all, not a good advert for pinball. 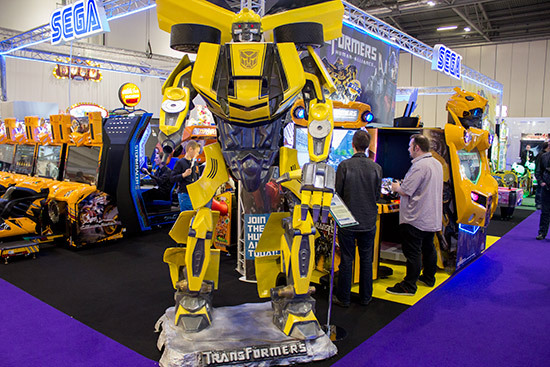 Anyway, here's our exclusive Eight Minute Tour of the show. As always, for best results view it in full 1080p high definition. 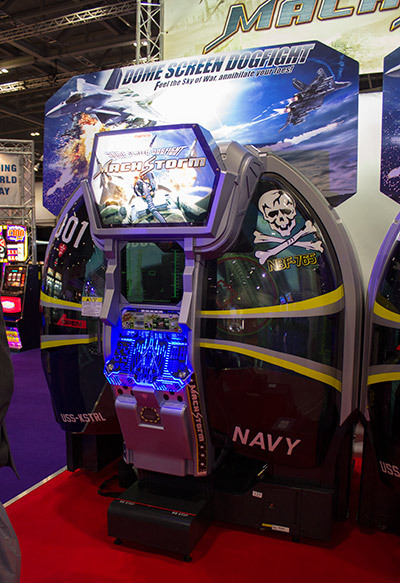 We returned to EAG International for the show's second day on Wednesday. 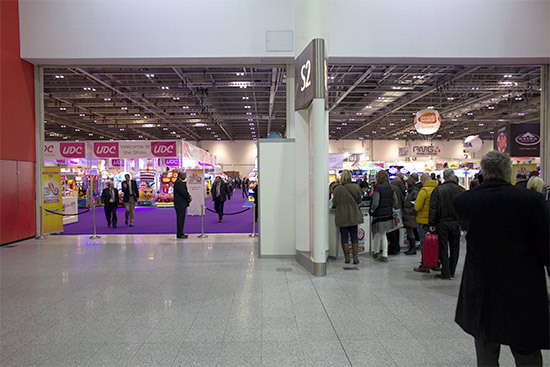 There were no new exhibitors but we did have a chance to chat with some of the exhibitors to gauge their feelings about the state of the industry and the show. 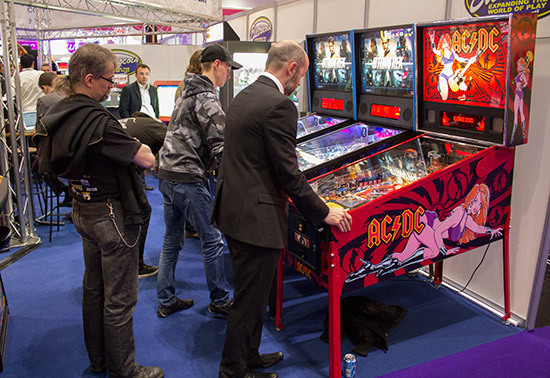 While the hall was a little busier, it was still a long way from the heady days when it was back at Earl's Court Exhibition Centre. 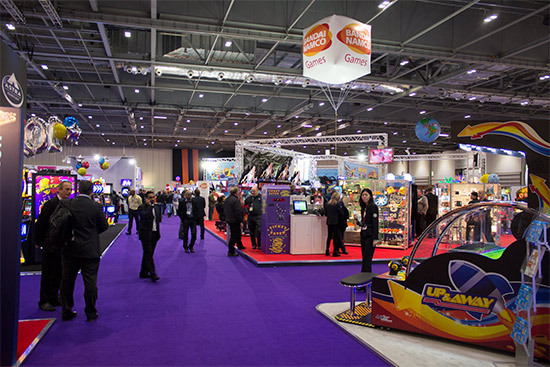 Everyone seemed to agree the show needs to reunite with the International Casino Exhibition (ICE) with which it used to share floor space in west London. 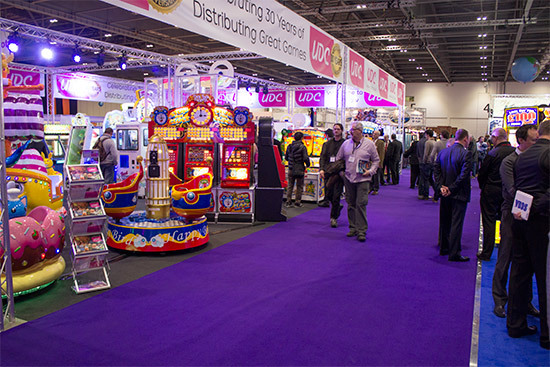 In the end it will be the big exhibitors who will call the shots, but hopefully 2015 will see a combined show which will benefit both events.